Lips are a defining feature of our face, a key component to our appearance and expression. We want our lips to be well-balanced, symmetrical with volume. Some of us are born with thin lips and others have found their lips thinning with age. 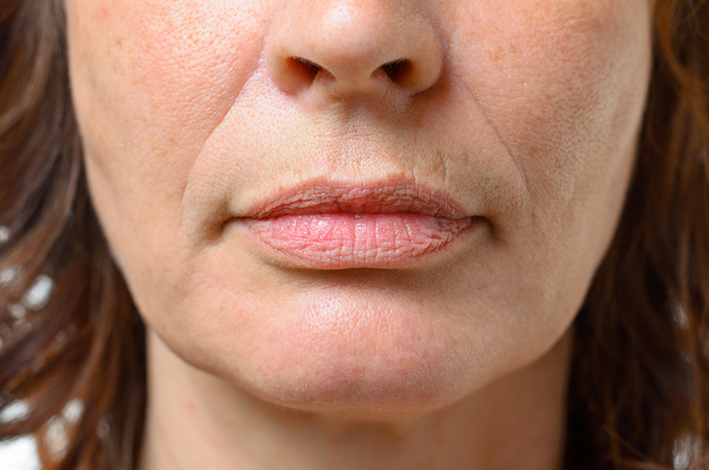 Lip volume loss and lines around the mouth are some of the earliest signs of ageing. Overtime there are many factors which cause the deterioration of lips such as; a natural decline in collagen, smoking, sun exposure and facial expressions. With the skin becoming less elastic; wrinkles, thinning and drooping of the lips and around the mouth occurs. Dermal fillers are used to treat thinning lips by restoring volume, balance and definition to the lip. The filler is a gel made up of a naturally occurring substance present in the human body. It helps smooth, hydrate and give volume. It redefines the edges of the lips and soften the vertical lines that surround the lip area achieving a more youthful fuller looking lip. A venous lake (or Phlebectasis) is a soft dark blue/purple coloured vascular lesion roughly measuring 0.2-1cm in diameter, found commonly on the lower lip. Affecting mostly middle aged to elderly males and females, venous lakes are important as they have clinical similarities to malignant lesions such as melanomas and pigmented basal cell carcinomas. They are distinguished by the lack of pulsation and when compressed the colour disappears due to the clearance of blood. A venous lake is considered harmless and is mostly treated for cosmetic reasons by using laser therapies such as V Beam Perfecta and Gentle Max Pro lasers. Dr Liz is one of the most sort after Dermatologists, renowned in the industry for her skills in dermal fillers. As well as being a highly qualified Doctor she also educates and mentors other Doctors. She is often called upon to speak about her knowledge and techniques in using injectable treatments and how this results in natural youthful looking appearance. Dr Liz uses the most up-to-date, safe and effective technology and products to best suit your needs.